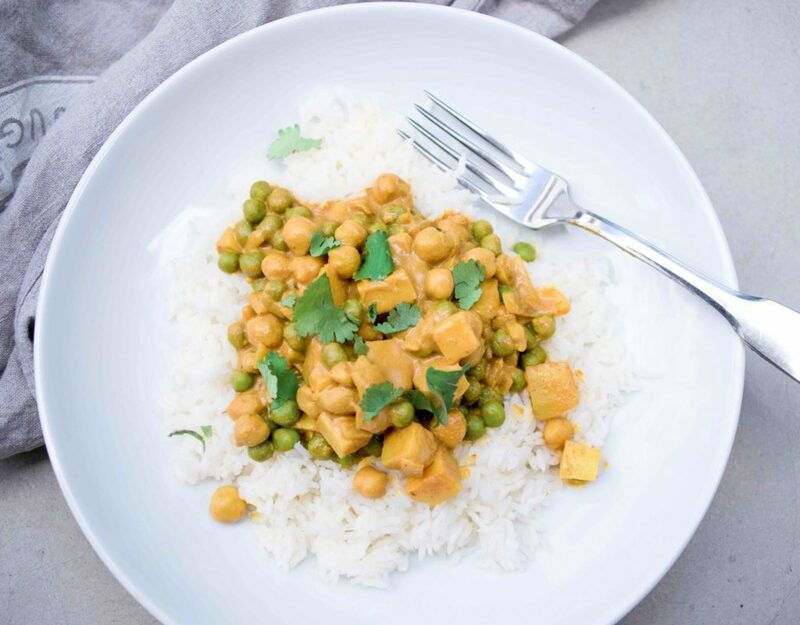 A delicious vegetarian option, you can have this quick potato and chickpea curry on the table in around 15 minutes. If you love the idea of making curry from scratch but don’t love the idea of spending hours in the kitchen, this recipe is for you. All you need are a few basic herbs and spices and about 15 minutes and you’re done! 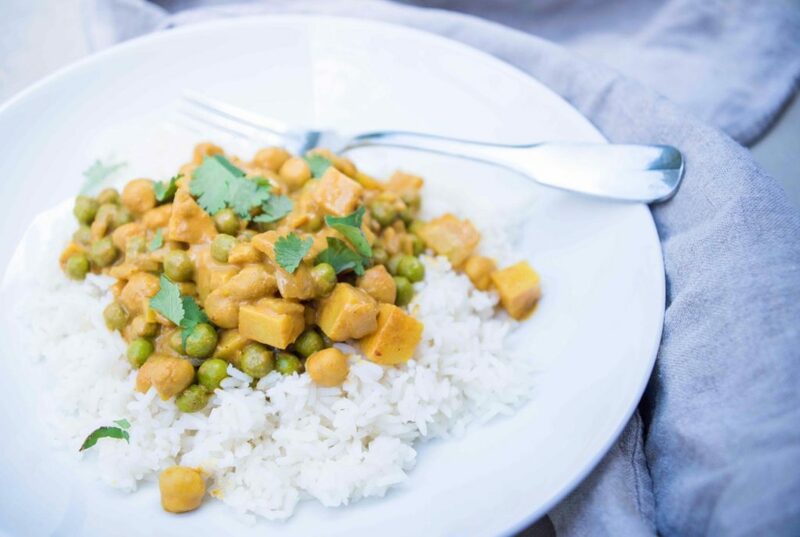 And if you’re not convinced about the idea of a curry without meat, this one might just change your mind – chickpeas are really hearty as well as being a good source of protein and iron so you won’t miss the meat at all! 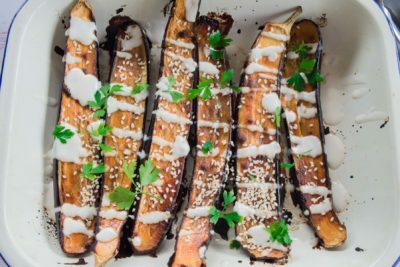 Serve it with some brown or basmati rice, quinoa or even just on it’s own. Place potato in a small bowl, cover, and microwave on high for 5 minutes or until soft. Meanwhile, heat oil in a large frying pan over medium heat. Add onion and garlic and sauté for 3-4 minutes until soft. Add spices and cook, stirring, for 1 minute or until fragrant. Stir through tomato paste, then add chickpeas, potato, stock, coconut milk and peas. Simmer for 4-5 minutes or until sauce has thickened. Season with salt and pepper. Serve over steamed brown or basmati rice, topped with fresh coriander leaves.